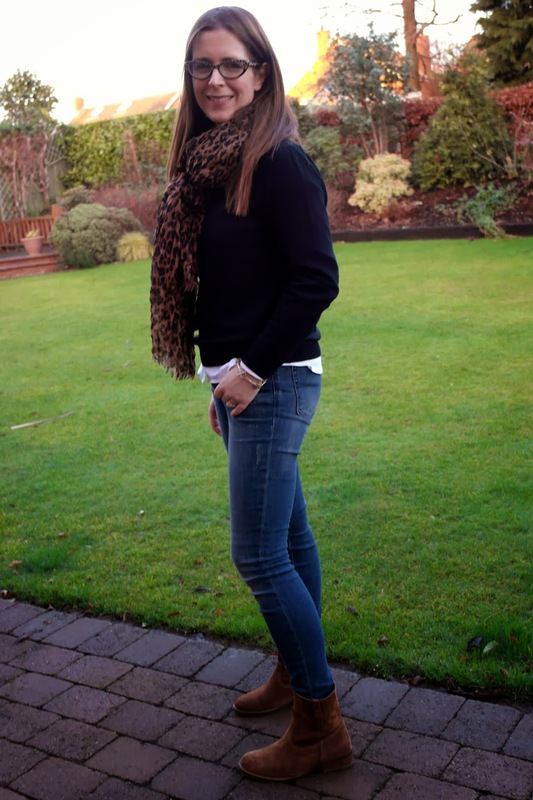 January Style Challenge time again and it's item 3 - a black, crew neck jumper. Not oversized, not long lined. Just a bog standard, black, fairly neat fitting jumper that finishes at my waist. This is a gap for me as I have some lovely patterned trousers that I never wear in the day-time and I think this would dress them down a bit. 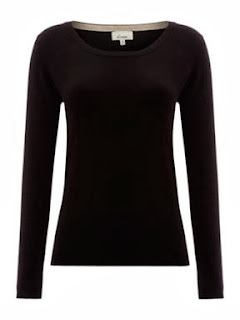 The Boden Cashmere Crew Neck is still in stock and is fabulous but the budget can't stretch to it at the moment. It would be an amazing buy and I will keep an eye on it on the off-chance it reduces or I get a good discount code! So in desperation, I googled and found this one in what looked a little like an old lady/Daily Mail style knitwear website - Woolovers. Despite my reservations, the shape looked good and I realised it was a merino wool/cashmere (70%/30%) mix for just £30 including postage! Now, I'll confess, this isn't in the sales...slight divergence from rules but I honestly couldn't find one reduced anywhere. But these are such a great offer and you can even buy two for £50 if you want a better deal but having read tweets telling me that their sizing was a bit random, I just ordered the one and kept looking as I honestly didn't have the highest hopes.. It arrived a few days later and first impressions were great. It's beautifully soft and just the right weight. Tried it on (I bought a size M) and it sealed the deal. Perfect fit...wow. Now sorry I didn't buy a second! It's a keeper - I'm really pleased it and look how wonderful it looks with my new white shirt too! I'm motoring through the 5 items and should be able to share the last two with you next week. I've already secured one and the other is en-route. Once again, I'm adding a linky for all my blogging readers who want to share their sale buys this January. I know some of you linked already to the last couple of posts but feel free to link again and please do click through to read other posts - there are some amazing bargains still to be found in the sales! 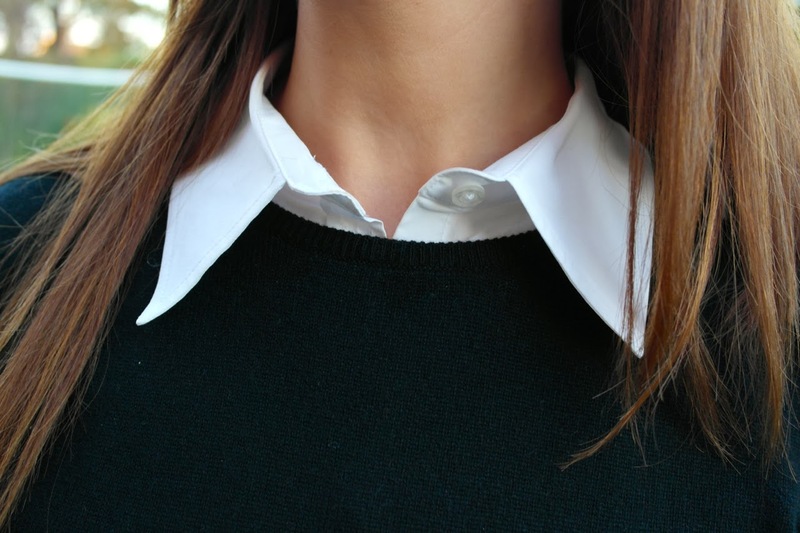 I love jumpers like this. 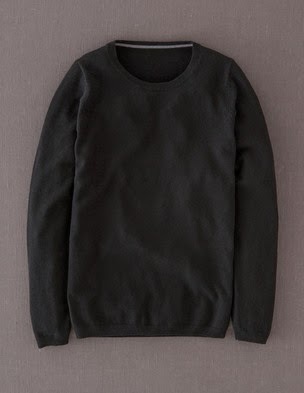 I have one that is very old from Sainsbury's of all places but it ticks all the boxes for a simple black crew neck jumper. Thanks Fiona - I straightened it that day as I was in a hurry and I was a bit surprised at how long it had gotten! Great find, looks perfect, it can be a battle sometimes finding something so specific. 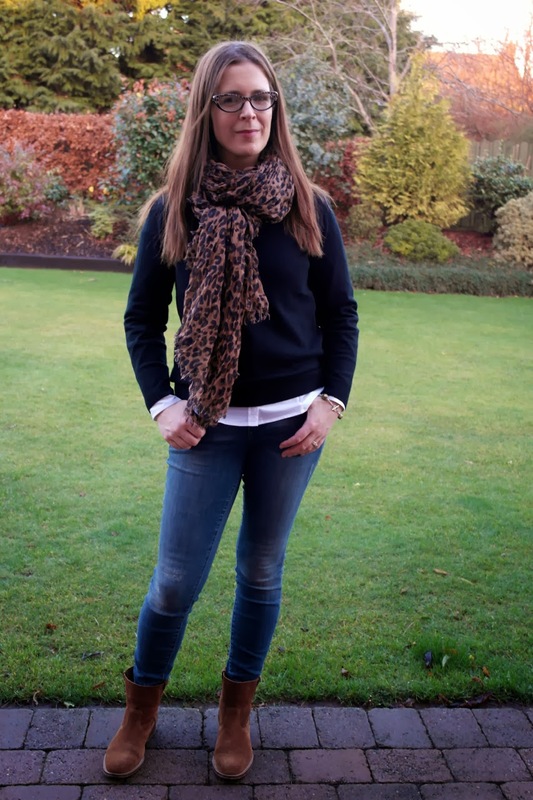 I too have recently discovered Woolovers, I was looking specifically for quality wool blend products within a strict budget, and I bought their long belted cardigan in bottle green for just over £30. It's warm and chic and I love it! I love Woolovers. I know what you mean about them seeing a bit fuddy duddy, but get past that and you can see they have some good basic knitwear at brilliant prices. My problem is deciding what to order! And I was just looking at the last pic - that cashmere merino mix looks good! 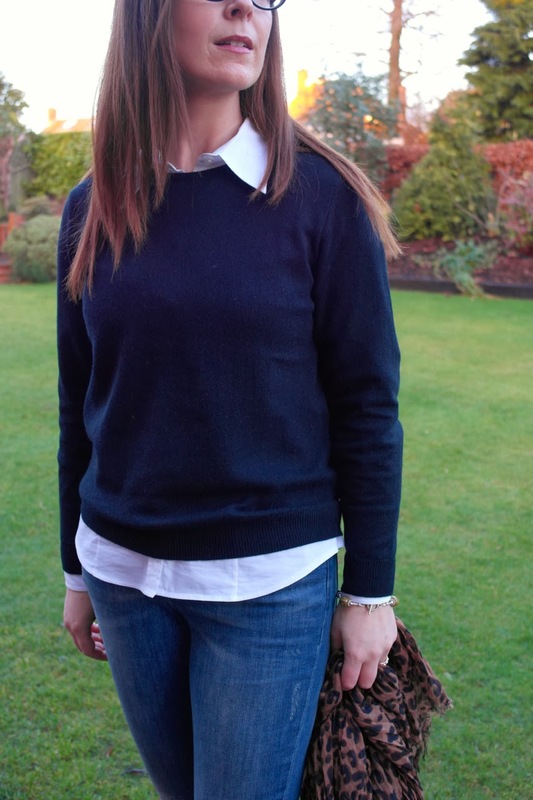 Nice one - and if it's any comfort, I have the Boden cashmere jumper and it's ok but not all that.